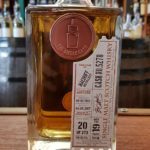 Wemyss Malts tell us: The Vanilla Burst is the first release of the Wemyss Family Collection range and is a blend of only 2 Speyside single malts with a light and fruity character that were chosen to mature in 15 1st-fill Ex-bourbon barrels. 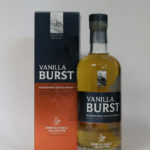 The 4800 bottles of Vanilla Burst perfectly demonstrate an intense 1st fill bourbon wood influence on a light and sweet Speyside malt Scotch whisky. The taste profile for this is lots of vanilla, spicy and floral with notes of cereal and citrus with a rich fruity mouthfeel. Wemyss Malts tell us: 'Nectar Grove is a limited edition blend of single malt whiskies finished in ex-madeira wine casks to impart a succulent and sweet fruit character.' Resonating with the fruity charisma of orange oil, ripe peach and sweet wine, developing into floral hibiscus and honeyed pastry notes; think of a Mediterranean market brimming with fresh fruit ans bakery stalls. 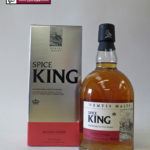 The Wemyss No Age Statement Spice King is a carefully crafted blend of over 10 single malts, resulting in a blended malt whisky noted for its sweet spicy character.